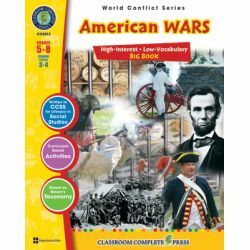 Explore each war's background, causes, major battles, key figures, final outcome, and the significance to the world today. Includes reading passages, hands-on activities, a comprehension quiz, and more. 48 pages, 6 mini posters. Grades 5-8; Reading Levels 3-4.